Subjects Brolga, Manmoyi crossing, Mimi, Namarrkon, Djingana from Gamagawan, Crocodile, Barramundi, Didjeridu, Kangaroo, Arnwak tree [edible fruit] Sugarbag man, Sugarbag woman, Emu, yam Catfish, turtle, goanna, saltwater fishing, dingo, marrimarniyi country, Gingana [rainbow serpent] Manimaniyi, crocodile & barramundi, Burranyila, Mothers country, Nadjirikarni country, wakwak story. 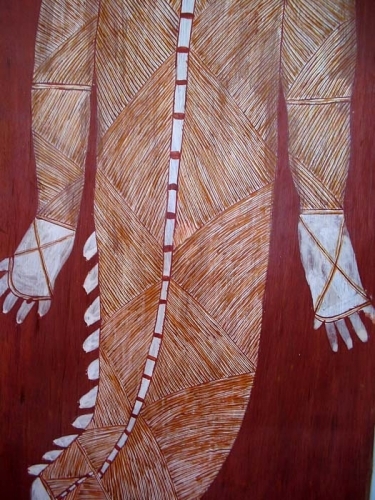 Peter Nabarlambarl was a senior, Kunwinjku artist in Arnhem Land. He was a respected cultural guide and mentor, assisting anthropologists visiting rock art and sacred sites on his traditional country at Injalak hill at Oenpelli with its rock art and caves. Peter was taught to paint by his father and grandfather in the traditional styles which can be seen in the rock art in the region. 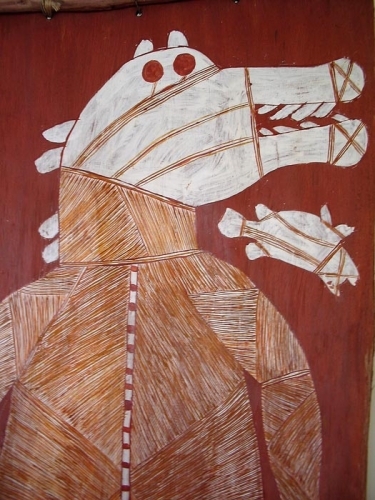 Peter was the winner of the Work On Paper Award in the 17th Telstra Aboriginal Art Awards in 2000. 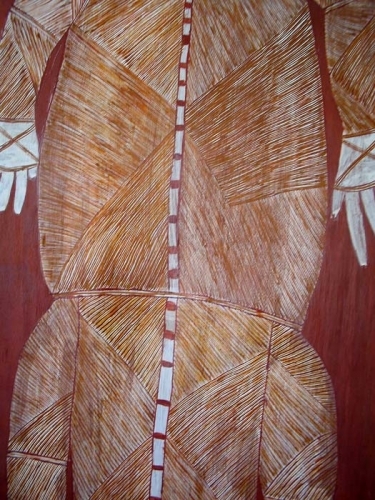 1990, Keepers of the Secrets, Aboriginal Art from Arnhem Land, Art Gallery of Western Australia, Perth. Altman, J., and Cook, P., 1982, Aboriginal Art at the Top, Maningrida Literature Production Centre, Maningrida.